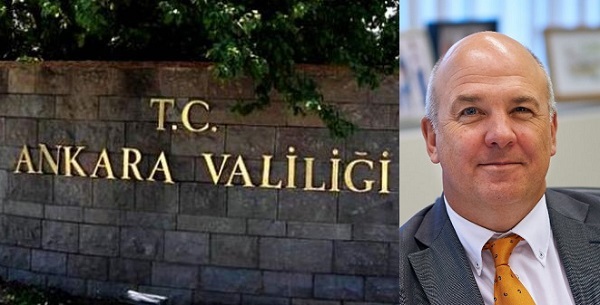 Nils Muiznieks: Ankara’s blanket ban on events organised by LGBTI NGOs is a blatant human rights violation and must be reversed immediately. It is with consternation that I have taken note of a statement by the Ankara Governor’s Office regarding their decision to ban indefinitely any event organised by LGBTI organisations, such as the projection of films, staging of theatre plays, panels, discussions and exhibitions. The statement, dated 19 November, justifies this measure on the grounds that such events “incite hatred” between different segments of society and therefore would present a clear and present danger for public safety, and that “due to certain social sensitivities” such activities may lead to reactions by some segments of society. In addition, according to the statement this measure is also targeting the groups and persons potentially participating in such activities with a view to preventing crime, disruption of public order and the protection of “general health and morality, as well as the rights and freedoms of others”. Such a blanket ban clearly disregards Turkey’s international human rights obligations, notably under the European Convention on Human Rights. The fact that an event may disturb or offend some people can under no circumstances serve as a justification to curtail the legitimate rights to freedom of expression, freedom of association and freedom of peaceful assembly of LGBTI persons, as well as the right of the entire population of Ankara to be informed about LGBTI issues. As I have already stressed in my statements on the banning of the Istanbul Pride for three years in a row, in cases where the authorities have grounds to fear for the security of persons exercising their legitimate rights to freedom of expression and assembly, the authorities’ duty is to protect these persons from the extremists and potential criminals threatening them, not to restrict their rights. I am concerned that this latest ban is the manifestation of a continuing backsliding in the field of human rights protection in Turkey and of growing intolerance towards LGBTI persons by the Turkish authorities. It is also a cause for concern that the Governorship’s decision has been based once more on the overly prescriptive law on assemblies and marches, whose shortcomings I have been raising since 2013 (see my report following a visit to Turkey, as well as the extremely wide margin of appreciation afforded by the Turkish law on states of emergency. I call on the Turkish central authorities to ensure that decentralised administrations uphold human rights standards and that this regrettable decision of the Ankara Governor’s Office is reversed immediately.